Hello fellow wannabe full-time travelers, it’s Knurly. Today is a sad story of how I increased my Costa Rica trip’s cost by a hundred dollars, due to an inability to “pull the trigger.” Of course, my new trip time-slot has allowed me to take a Summer II semester course, but that’s not the point of this post. I found an amazing flight from my city to San Jose, round trip for two people, for a total of 730 bucks. However, I waited too long due to some commitment anxiety and I lost my opportunity. In fact, the ticket prices increased so significantly I was sure my trip had been cancelled. Alas, I was able to figure it out. Note: I always figure it out. However, this new cheap flight, which by the way, is costing me about 840 dollars total, has three layovers. Yes, my first trip without any parents will involve a trip with three layovers/change offs, and I’m not even quite sure what an airport gate is, how you find your gate, or even proper airport etiquette. In other words, I’m a mess, please follow my blog. That’s not to mention I’m flying two different airlines: Delta there and Southwest back. It could be worse, and I’m sure seasoned travelers are used to this. I am not. Jean skirt, sneakers, and white ankle socks? Seriously? 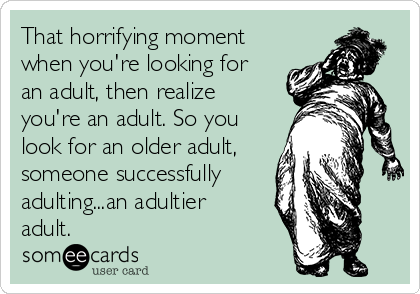 We can file this post under several categories: first world problems, overgrown young adult realizes they have to be mature now, and overcoming anxiety. Anyway, there’s a lesson to be learned here: PULL THE TRIGGER – after you plan everything out of course. I can fully understand some of you may have trouble parting with your hard-earned money. In fact, that’s what prevented me from booking my flight to begin with. Your bank account can be replenished, but you can’t enjoy a trip you never went on. That’s what I have to keep telling myself. Don’t worry about cookie-cutter trips your first few times out. You’re just learning how to actually travel. Those romanticized, off-the-beaten-path excursions taken by people in the their late 20s are mostly about how to take good pictures and passive aggressively post them on social media. I started traveling the world at 19 or 20 and probably didn’t get good at until an extended stay in Japan at 22, probably my 5th international trip. Focus on safety and building your confidence in new situations. There will be plenty of memories to come, whether they were nudged along by a cookie cutter tour group or discovered spur of the moment. And have the time of your life. There will be a point later in your life when you can’t fathom how you didn’t recognize the freedom you truly had. Thank you! I picked Costa Rica because it was out of my comfort zone, but it’s supposed to be pretty safe. ” Focus on safety and building your confidence in new situations.” Definitely, this trip is all about trying to get some experience under my belt. Baby steps. I totally agree with the comment above! I hope you have an amazing time! Even if you do make mistakes, they can end up making great stories for future you. I took my little brother on the Trans-Mongolian train when I was 19 and he was 17…and we missed the train (ARGH!) we had to race through the desert in a cab trying to overtake the train before it reached the mountains (where they change engine.) It was really stressful (especially when the driver stopped in the desert and said he wouldn’t go any further unless we paid him more money!) BUT it makes a good story now i can look back on the madness and laugh! My only advice is don’t feel like you have to tick off all the “official” places that everyone visits. Just see the things you are most interested in, and then follow your nose to find more random things to do. Anyway, you’ve got this. It’s going to be amazing. Oh my god I’ve heard about those scams with taxi drivers. So frustrating, but I suppose you just gotta roll with the punches. such a good post to read knurly! Speaking of which…I should REALLY get around to writing my next post haha.